How much is Josh McDermitt Worth? Josh McDermitt net worth and salary: Josh McDermitt is an American actor and comedian who has a net worth of $4 million. Josh McDermitt was born in Phoenix, Arizona in June 1978. 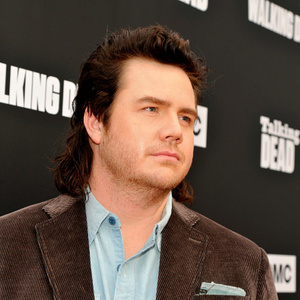 He is best known for playing the role of Eugene Porter on the AMC television series The Walking Dead. He started his career by calling in to a local radio station using different voices. He was hired as a producer for the Tim & Willy show. In 2006 he was a semi-finalist for the 4th season of the reality TV series Last Comic Standing. From 2011 to 2012 he starred as Brandon on the series Retired at 35. His best known role has come starring as Dr. Eugene Porter on the TV series The Walking Dead since 2014. McDermitt has starred in the movies Madison Hall in 2009 and Life in Color in 2015 which he also served as associate producer on. He also had a recurring role as George Payton in the TV series Mad Men in 2014. McDermitt is a member of the Los Angeles improv comedy group Robert Downey Jr Jr. and is a hot air balloon pilot.